Four musicians from the UK and US have given recorded statements at the Immigration Department, after they were arrested on Sunday night for playing at independent music venue Hidden Agenda without a work visa. Venue founder Hui Chung-wo and two other members of staff arrested have not yet been released as of Monday afternoon, despite spending some 16 hours detained by police. The seven arrests were made following a raid at a concert at the Kwun Tong industrial building venue, featuring UK band This Town Needs Guns, US band Mylets, and Hong Kong group Emptybottles. 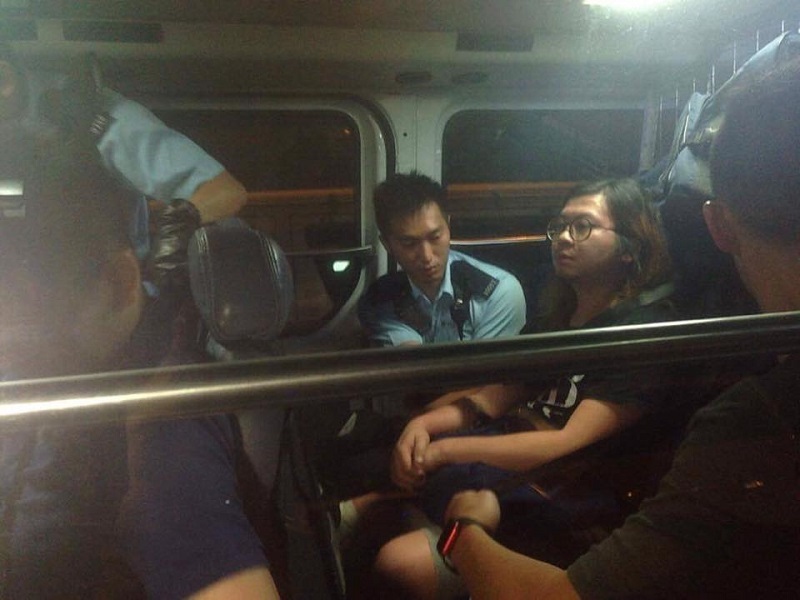 Hui Chung-wo in a police van on Sunday night. Photo: Facebook/Hidden Agenda. Immigration officers posed as concert-goers and attended the performances in order to collect evidence that the bands had been hired by the venue. As the concert ended, they asked to conduct an investigation at the premises. Police then received a report of fighting, and officers armed with riot shields and police dogs arrived at the scene. The Immigration Department told HKFP that the three British musicians and sole US performer are suspected of breaching their conditions of stay. Police told HKFP that the three venue staffers have been charged variously with obstructing a police officer in exercise of duties and common assault. 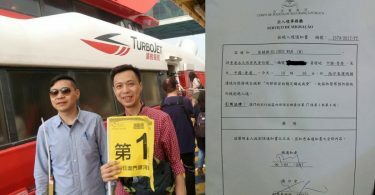 Pro-democracy lawmakers Jeremy Tam and Tanya Chan accompanied the four foreign musicians on Monday afternoon as they made recorded statements at Kowloon Bay’s Immigration Department offices. Speaking on behalf of the musicians, Tam said they would fully cooperate with the Immigration Department and police investigations. But they hoped that the department would allow them to leave Hong Kong temporarily. Legislators Jeremy Tam and Tanya Chan accompanying members of This Town Needs Guns and Mylets outside Kowloon Bay’s Immigration Department office. Photo: HKFP/Elson Tong. According to Tam, three musicians have purchased a flight ticket departing on Tuesday evening back to the UK, while the final musician is scheduled to leave on Wednesday morning to the US via mainland China. He added that the musicians would return to Hong Kong to assist in the department’s investigation some point in the future if required. 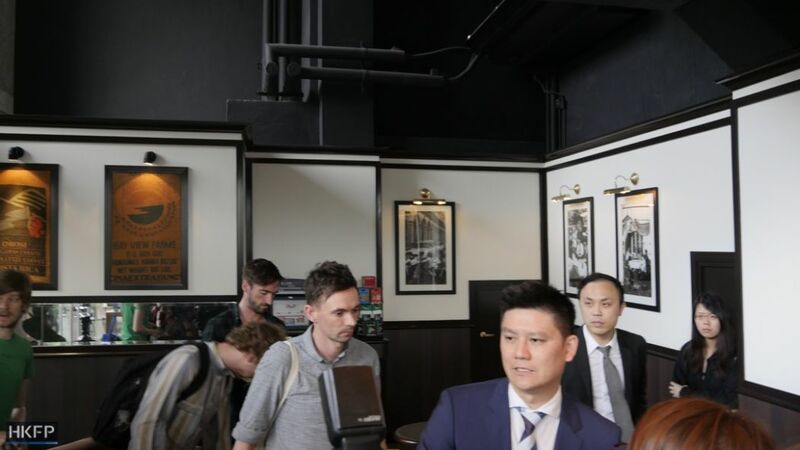 Tam, who arrived at Hidden Agenda on Sunday night following news of the raid, said the four musicians were represented by two lawyers – solicitor Ng Gene Bond, and barrister Tanya Chan. 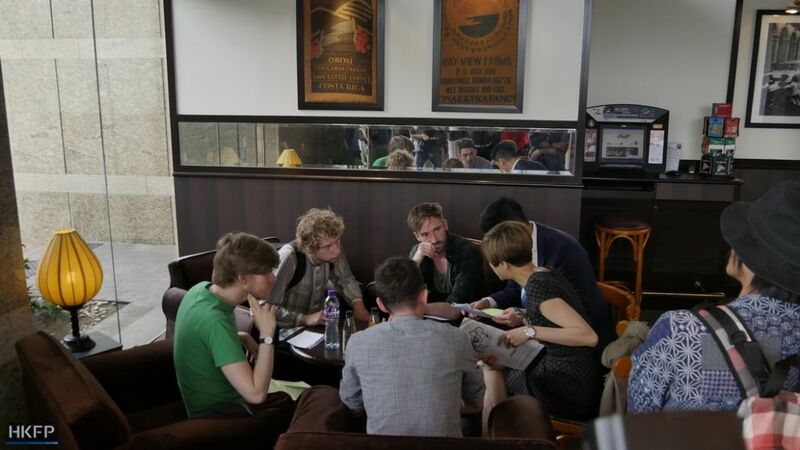 Tam added that founder Hui and the two venue staffers also had legal representation. However, solicitor Ng told HKFP he did not know when the trio would be released. Legislator Jeremy Tam. Photo: HKFP/Elson Tong. 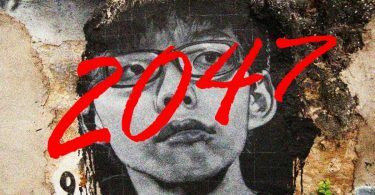 He added that this change in policy did not only affect musicians playing at Hidden Agenda, but also for artists visiting other unlicensed industrial building facilities across Hong Kong. 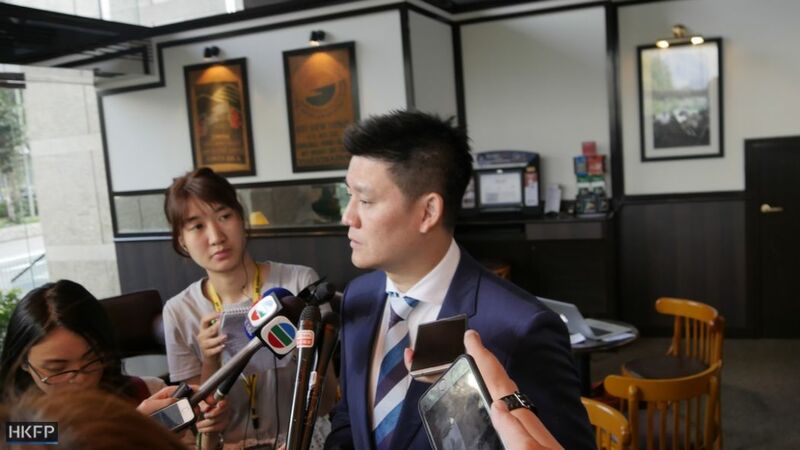 Tam speculated that the refusal of visas was caused by the department’s fear of “getting into trouble” within the government bureaucracy for not implementing licensing regulations to the letter of the law. Musicians were led by legislator Jeremy Tam to make recorded statements. Photo: HKFP/Elson Tong. The venue has been subjected to numerous raids at each of its four locations since its establishment in 2009, primarily related to violations of the terms of its land lease.